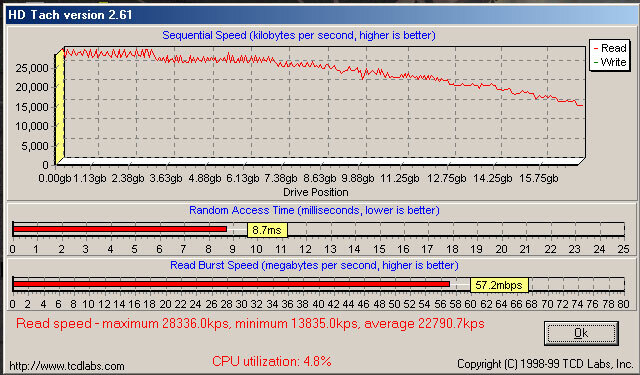 Notice access time - 8.7ms for SCSI (vs 12.3ms for IDE/ATA). where access times are typically the (perf) bottleneck. When printing DV video to tape, it's the minimum number that counts. As long as the graph stays above DV's requisite 3.6MB/s, you'll be okay.